FRA Director’s Eddie Nkune and Simon Taylor, attended this years’ GIR London hosted by Allen & Overy titled ‘The distinction between the US and UK approaches to cross border investigations’. The conference was jointly chaired by Elizabeth Robertson, Partner at Skadden, Arps, Slate, Meagher & Flom and Stephen Pollard, Partner at WilmerHale. Many of the topics discussed by the panel members centred around Serious Fraud Office (SFO), Department of Justice (DOJ) and Securities & Exchange Commission (SEC) prosecutions – considering the differences between different jurisdictions. Some insight was also shared into what the future could look like for the UK should the widely tipped successor to David Green (former SFO Director) bring radical change to the organisation responsible for investigating and prosecuting the most complex and serious financial crimes. Questions about maintaining independence from central government policy were posed, along with consideration of what could be learned from other jurisdictions to speed up this type of matter whilst maintaining a just system. One of the topics discussed involved client decision making and the balance between the credit they might get for self-reporting and successfully obtaining credit as part of a Deferred Prosecution Agreement compared with not self-reporting to the authorities at all and risking prosecution. The Panama Papers and other disclosures raise the risk of information coming to light via a third party and there are also many other instances that may result in investigation by authorities such as being reported by a whistleblower or being investigated for other, separate matters. Jane Schvets, Partner at Debevoise & Plimpton, suggested that this latter point is particularly interesting because until a client is investigated for the actual conduct in question they may still get credit for self-reporting it even though it has already been ‘uncovered’ by the authorities. • What would a perfect investigative team look like? Lawyers, forensic accountants, financial investigators, eDiscovery professionals, PR and communications – all on standby! • Having SFO interview teams that lack experience can lead to poor engagement with interviewees. This is counterproductive on a personal level, especially if an interviewee will ultimately have a minor role to play or even be a witness for the prosecution. • Interviews of witnesses are difficult because no one can ever remember anything perfectly. For older events memory is even less reliable. Supporting emails and other documents are much better evidence. • With regard to one of the Alstom prosecutions, the SFO had no witness for a particular trial; just a relatively junior person producing the documentary evidence. This could well be the way going forward for many more cases. • Elizabeth Robinson described technology that exists which can listen to voice calls and identify the parties by the emotional content of their speech. It is apparently sophisticated enough to distinguish between business colleagues, friends, clients or a partner. The calls are analysed and the content can be represented visually. Consent would of course be required but this would be relatively easy to obtain in regulated sectors. This type of technology could be useful not only for regulatory and criminal investigations but also slightly more benignly to analyse business development engagements. • Information from a SAR is supposed to be confidential so what are the implications of using this information in an Unexplained Wealth Order (UWO) hearing? 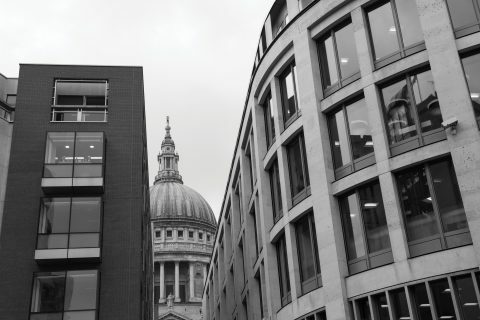 • In the matter involving the company known as ‘XYZ’ who have already agreed a DPA with the SFO, an individual defendant has Judicially Reviewed the SFO decision with regard to the disclosure of witness interviews. As David Corker, Partner at Corker Binning, pointed out, very interestingly the judgement dismissed the JR but then used 120 paragraphs to criticise the SFO’s actions. Read the full event report on GIR’s website.